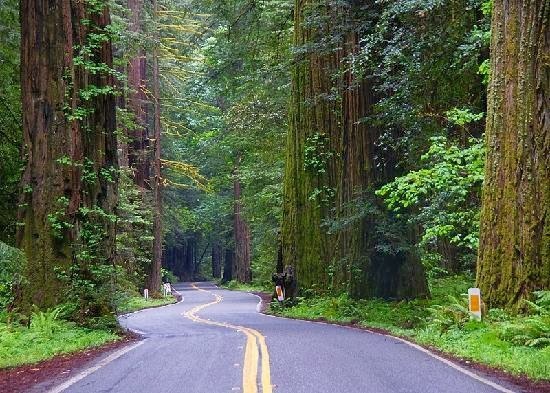 Drive beneath breathtaking pillars of enormous coast redwoods on this 31-mile-long route from Redway to Weott, CA. This world-famous scenic drive of old Highway 101, which parallels Freeway 101 with its 51,222 acres of redwood groves. It is by far the most outstanding display of these giant trees in the entire 500 mile redwood belt and is accessible to all with convenient services provided along the way. The Avenue of the Giants is surrounded by Humboldt Redwoods State Park which has the largest remaining stand of virgin redwoods in the world. Take time to picnic, camp, hike, swim, fish, raft or bike ride in the cool hush of these ancient redwood forests. 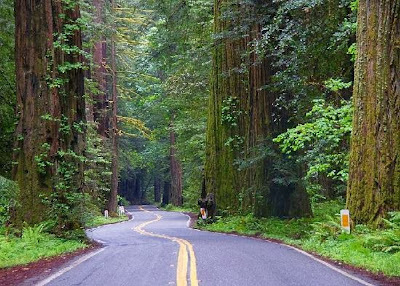 One of the great drives in the world, Avenue of the Giants, which parallels U.S. 101 from just north of Garberville to Scotia, leads through an amazing stretch of incredible redwood forest. If you only have time to explore one piece of the spectacular 500-mile redwood belt stretching up California's northern half, then this celebrated route might be the place for you. Parklands protect the stands surrounding you as you twist slowly through this natural wonderland. If you have time, walk the pristine trails of Humboldt Redwoods State Park, protecting the largest remaining stand of virgin redwoods in the world. Don't miss Rockefeller Forest, laced with trails that lead to the 8th, 6th, 4th, and 2nd tallest trees in the world, as well as the ultimate “Champion Coast Redwood," towering some 370 feet overhead. Inside tip: The route can get crowded in peak summer months. Aim for early morning or evening visits for fewer crowds--and beautiful soft light.